This week in theaters, Jim, Michelle, Finch, Kevin, Vicky, Oz, Heather, Jim's dad and Stifler are all back in the latest installment to the American Pie franchise, American Reunion. If you can't really tell by title, this movie is based around the Class of '99 high school reunion. 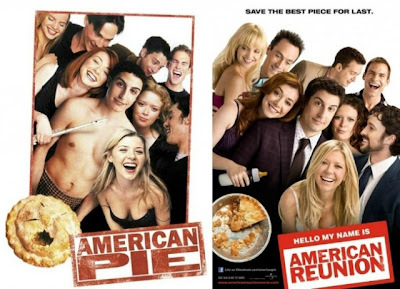 American Reunion is written and directed by Jon Hurwitz and Hayden Schlossberg, best known for the Harold & Kumar series, bring us a great addition to the series that has entertained many people for over a decade.